I found this description poignant and apt. 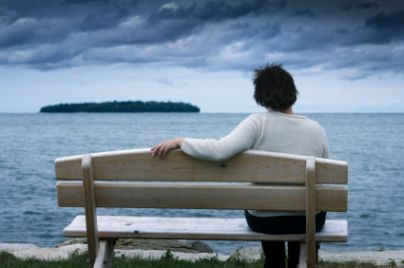 It seemed to fit in with so many of my clients’ experiences of the life-changing nature of bereavement; that initially life is uncertain and unsure, and that this can go on for some time, but that at some point adjustments are made to the new life without the loved one. If you have recently lost someone you loved, you may be feeling that your world has turned upside down – nothing is as it was, and you don’t know if what you are feeling and experiencing is ‘normal’. I’ve had bereaved clients confess to me that they worry they are going crazy. With this in mind, I thought it might be helpful to describe some aspects of some people’s experience of bereavement – you may find that you can relate to them, which may be reassuring. But if this isn’t your experience – don’t worry, everyone’s experience of bereavement is unique, and there is no right or wrong way to grieve. Bereavement can feel like walking through a door to a parallel universe – your old life is left behind, and nothing will ever be the same. This new world is new and unfamiliar, and not a place you’ve chosen to be. Meanwhile, all around you everyone is going about their usual lives. This can feel unfair – how can other people carry on as normal when your life has been turned upside down? You may find it hard to sleep. Getting to sleep may be difficult, and when you do sleep it may be fitful, and you wake frequently. Poor sleep may mean you feel tired and lethargic. Waking can be difficult too; for those first few moments you forget what has happened, and then there is the awful moment when you remember. It can feel like a punch in the stomach. Everything can feel black and bleak; you may feel intense sadness, or you may feel numb. Or you may fluctuate between the two. You may feel a sense of unreality; it feels hard to get your head around what has happened. You may feel your stomach churning, and a feeling of nausea. You may experience feelings of panic – a sense of not being able to cope. It can feel impossible to enjoy anything, even doing things that once gave you pleasure. You may feel like you’re going through the motions; doing things without feeling very much. You may find it hard to concentrate, so activities such as reading become too difficult. Even following a TV programme or film can feel an effort. Social occasions can be difficult. Friends and family might try to help by encouraging you to come round, or to go to social events. But you may find this too much. Summoning up the energy to chat and socialise can feel exhausting. It can also be a painful reminder of the absence of your loved one. Family get-togethers can have a painful sense of someone missing. For those who have lost partners it can be difficult to see everyone in couples whilst you are on your own. Coming home after can be difficult too, especially if you live alone; the house can seem painfully quiet and empty. The months after the death become a series of firsts: the first time you experience occasions and anniversaries without your loved one. The first Christmas, the first birthday, the first wedding anniversary, the first anniversary of the death – all will have their own challenges and resonances. Friends and family can be supportive and caring in the days and weeks after the death, but you may find there comes a point when the support lessens; there may be an unspoken assumption that you are now ‘better’ and no longer in need of such support. Often this can happen after the funeral – people see this as a time for ‘closure’. Yet in reality, the hardest part often comes in the days and weeks after the funeral when the reality hits home that the person you love is never coming back. This is when you may feel you need support most. There may come a point when it feels that you have cried and talked enough in front of other people, and that you can’t do that anymore. You may feel that you are imposing, and you don’t want to test people’s goodwill, and that you ought to hold in how you are feeling. You may say to people you are fine, when in reality you are far from fine. This is often when people come to counselling; it gives you the space to talk about how you are really feeling – there is no need to pretend to be fine – without having to worry about the listener. You can talk about what you need to talk about. An image which I find really helpful in explaining the experience of grief is the idea of grief as a series of waves. Initially, there are huge waves – they break over you, submerging you, and it feels like you may go under. They come fast and furious, with few breaks in between. It feels like you might drown. Over time, the waves become smaller, with bigger gaps in between. There is some respite from the ferocity of grief. 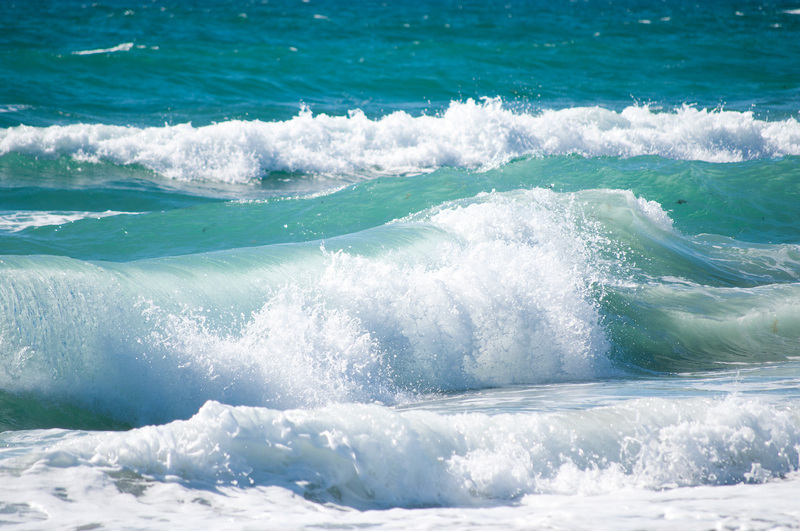 Yet, even then, as each wave rolls over you, it can still feel as intense as the first one. It can feel like you’re no further on. Yet you are. You’re getting through it, over time. You won’t forget the person you love, or love them any less, but you will adjust, and slowly learn how to live without them. They won’t be there physically, but they will be there in your memories and your heart. If you are experiencing bereavement, and would find it helpful to talk, please get in touch with me.